Phoenix Suns general manager Ryan McDonough didn't buy the explanation of point guard Eric Bledsoe, who appeared to tweet his discontent with his current situation Sunday. According to McDonough, Bledsoe told the team the tweet referred to his not wanting to be at a hair salon. "I didn't believe that to be true," McDonough said, per ABC15 Sports in Phoenix. "He won't be with us going forward." ESPN.com's Chris Haynes reported the Suns sent Bledsoe home on Monday and that the expectation is Phoenix will trade the eight-year veteran. Adrian Wojnarowski of ESPN.com reported the Suns have discussed a Bledsoe trade with multiple teams. In all likelihood, Bledsoe's tweet hastened the inevitable. The Suns aren't going anywhere for the next few seasons, and Bledsoe was always unlikely to be a part of their long-term future since he has only two more years left on his current deal. According to Haynes, Bledsoe spoke with McDonough and Suns owner Robert Sarver in the preseason about requesting a trade. Haynes wrote the guard "covets to be in a winning situation." Bledsoe's messy exit may hurt his trade value, though. Phoenix didn't have a ton of leverage in the first place based on the relatively meager returns the Chicago Bulls and Indiana Pacers received for Jimmy Butler and Paul George, respectively. Like Bledsoe, Butler can be a free agent after the 2018-19 season, while George can opt out after this year. The Pacers acquired Victor Oladipo and Domantas Sabonis from the Oklahoma City Thunder. The Minnesota Timberwolves sent Kris Dunn, Zach LaVine and the seventh overall pick (Lauri Markkanen) to Chicago to get Butler. Since Bledsoe doesn't have the same resume as Butler or George, the Suns almost certainly won't get a return that matches Bledsoe's talent level and production. 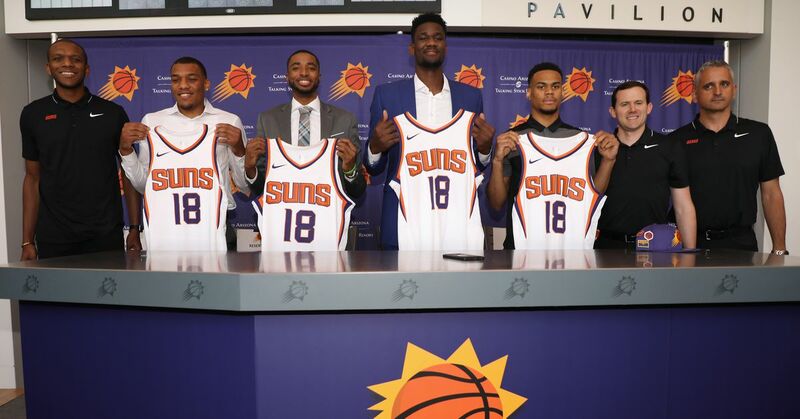 Now, with Bledsoe's frustration and the Suns' desire to trade him now out in the open, opposing general managers know McDonough has his back against the wall, which won't help Phoenix in trade negotiations.